While working on the computer many times speed of the computer decreases. There are many reasons for this problem. But if we want to increase the speed of the computer there are many tricks available on the web. Let's try one trick which will definitely increase your computer's speed. 1. First open Notepad. Then in that type " FREEMEM=SPACE (64000) " as shown in bellow image. 2. 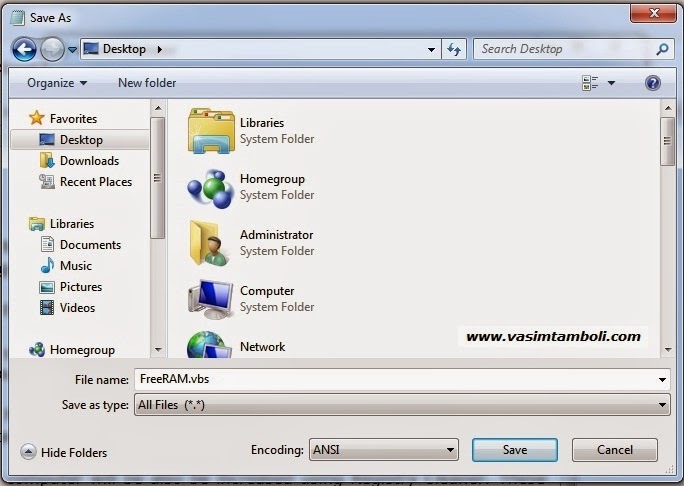 Then save this file as "FreeRAM.vbs" on the desktop. 3. Now when your computer slows down just double click on this file and see the difference. You will feel that your computer's speed increased. 4. That's it. 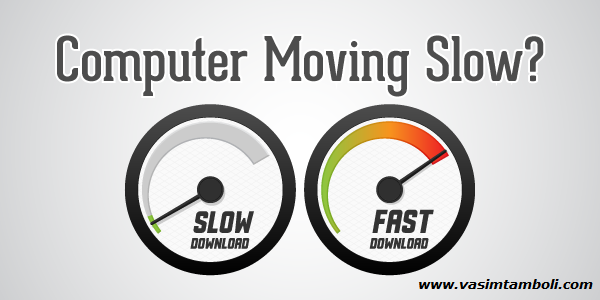 Now use this file every time when you want to increase your computer's speed. The speed of computer will be also be increased using Registry Cleaner. These types of softwares are freely available on the internet now a days. Carefully download that softwares and install on your computer. Also keeping CPU dust free, Deleting temporary file and cache regularly etc. Will also increases the speed of the computer.